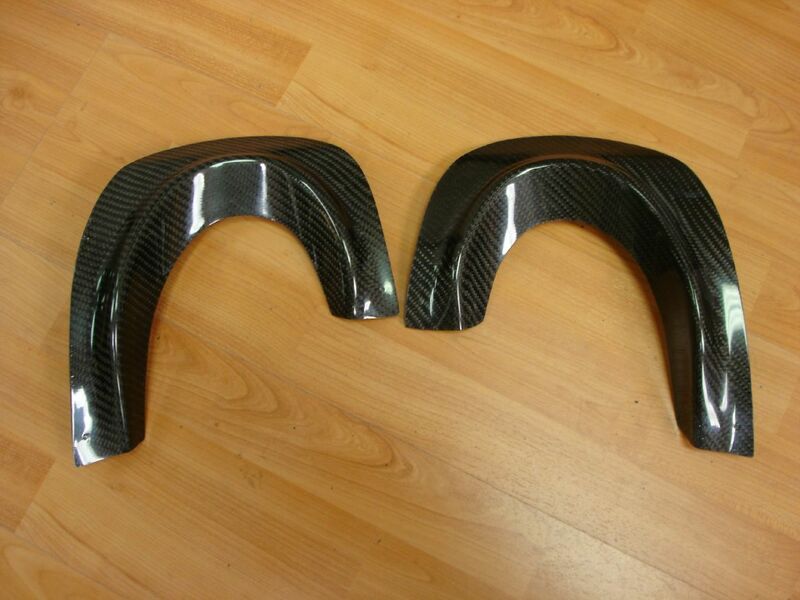 Shine Auto Project Z33 350z Spec-V Dual Carbon Exhaust Shields. Through careful selection of resins, surface coats, and fabrics, Shine has been able to develop a proprietary flexible fiberglass (FRP) formula. Our products behave very similar to oem bumpers (roughly 75% of oem flexibility), however, is still worked with and prepared to paint like general fiberglass products. We have essentially eliminated some of the cons of FRP products creating the ideal material of choice for the after-market aero enthusiast. The Shine Hybrid FRP product is heavily inspired by Ings+1’s (a popular Japanese aero parts manufacturer) “Hybrid Aero” FRP products, hence given a similar name. What had caught our attention was the unfathomable flexibility of their fiberglass (FRP) aero products, since it was generally known (and still is) for fiberglass products to be stiff and brittle. Flexibility, hence durability, has always been a highly sought after characteristic/benefit consumers have needed in search of after-market exterior aero components. Particularly, bumpers, lips, and side skirts. Shine has invested years of research and experimentations to offer an ideal product that meets and exceeds the demands and expectations of enthusiasts looking for after market aero components. We believe Shine’s current Hybrid FRP offering is at least equal to if not better than our initial inspiration for the formula. It is a very special, unique, and evolving formula that has taken tons of experimentations, tons of feedback from body shops, and tons of feedback from customers, to perfect. We are very confident in our formula and there are numerous satisfied customers across the globe who are enjoying the benefit our product offers. » We use grade A UV protected marine gel coat as the primary surface coat. For those looking to add automotive clear coat for added weather protection and increased gloss, the surface coat can be easily sanded for application. The differences between the two are primarily aesthetic and it is really only a matter of preference when you decide on which to choose for your carbon fiber part. Because of the tighter plain weave pattern, plain weave tends to reflect less light resulting in a darker overall look compared to twill weave. Image below demonstrates visual difference. Our general carbon fiber parts are hand-crafted using a “wet lay-up’ technique. 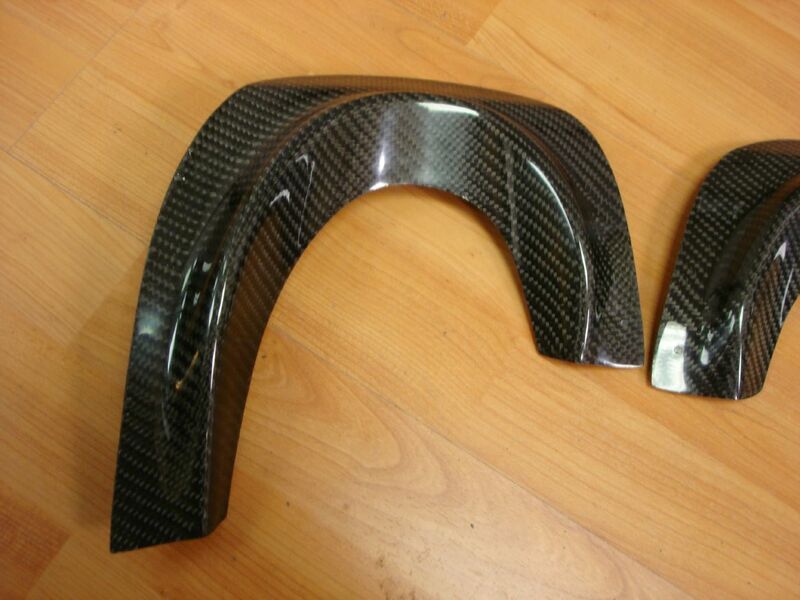 A majority of carbon fiber parts are made using this technique as it is an industry wide standard. However, as all hand made things, quality is determined by crafter as well as the surface coat used, fabric quality, and resin used. Once again, it is the skills and philosophy of the manufacturer that should be judged as not all carbon parts are equal. Carbon Kevlar is a matrix of carbon fiber strands and Kevlar strands for slightly increased thickness and added strength as Kevlar is ultimately a stronger material than Carbon fiber. The black carbon fiber strands mixed with yellow Kevlar strands give the part a greenish-yellowish hue from a distance. We are one of the few companies in the industry willing to offer parts we generally make in carbon to be made in Carbon Kevlar — in both plain and twill weave patterns. We’re looking to distinguish ourselves from our competitors by focusing on the needs of the enthusiasts and help them build unique setups to add variety to the automotive community.